Youth turkey season was pretty tough this year. Cold weather and a late spring made for a challenging two-day hunt. It was all the way down to 19 degrees on Saturday morning where we were hunting in central Missouri. Kids were bundled up like it was a late season deer hunt. But youth hunting isn’t about just killing turkeys. Primarily, it’s designed as a time to learn. For both the youths and adults. 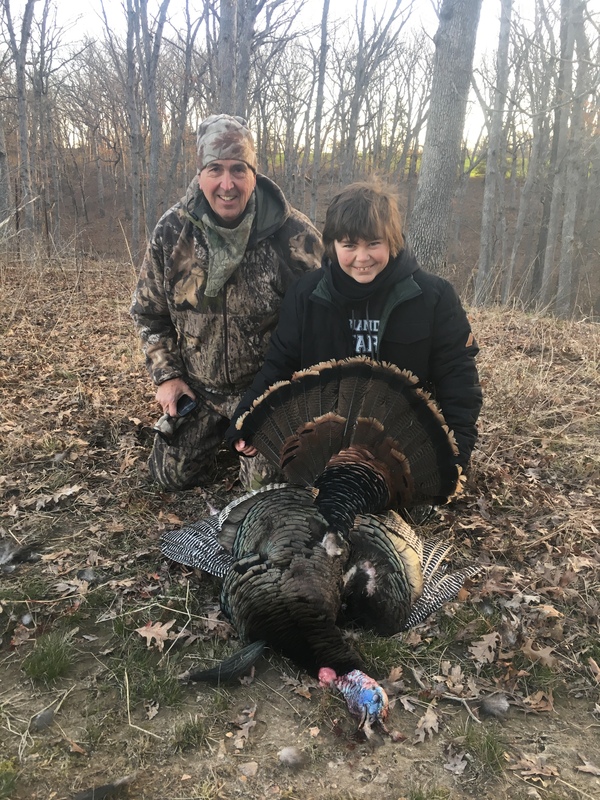 I spoke with MDC’s Turkey Biologist, Jason Isabelle, on Friday at a special training session for youth hunters participating in the 10th annual Governor’s Youth Turkey Hunt. He assured me we are in for a few years of tougher turkey hunting than most Missourians are used to. But this significant of a drop of youth harvest has little or nothing to do with turkey population. It was due to unseasonably cold temperatures we’ve experienced all this spring. The long, drawn out spring we’ve experienced, including a cold and miserable Easter Sunday, has had a real effect on turkeys. The two weekends prior to the youth season, I was down in the Ozarks sitting on my porch with a cup of coffee waiting to hear the morning thunder of gobblers going off up and down the hollow. I never heard a bird. Now I’m real worried about how opening weekend is going to go. I’ve got friends coming from out of state, who are going to think I’m off my rocker if things don’t pick up after as much as I’ve built up our Missouri turkey hunting. The turkeys need to get on schedule and break-up their winter flocks. Even though we didn’t kill a turkey, heck we didn’t even see a turkey in two days, my daughter Bailee and I had a great youth season. We shared a camp with four more youths and some incredible mentors, including legendary turkey hunter, Ray Eye, and dedicated conservationist, Rudi Roeslein. We ate well and had a great time just hanging out in camp. For me, it was an opportunity to put into practice some hard lessons I learned about hunting with kids, specifically my own. Bailee killed her first turkey when she was seven. Now she’s twelve. In-between, she backed off hunting. Two years she didn’t want to go. I’m thankful she’s back at it. And now I’m aware I probably pushed too hard when she was too young. We have to let these kids come into it on their own. Our job is to give proper instruction and support, but the emotional aspects, the connection, must be their own. We can nurture the passion, but we can’t force it. She didn’t kill a turkey, but she doesn’t really care. What matters to me, is she wanted to go, she genuinely seemed enthused throughout the weekend, and she had fun. I’ve learned a lot in the last few years through this process, and I can tell you wholeheartedly, you are way more likely to build a hunter if you don’t push them too hard. Let them call some shots. Let them fail. They’ll learn, and you’ll have a hunting partner for life. If you know of a youth hunter who was lucky enough to take a bird during the artic blast, they are eligible for a special certificate, complete with a photo, from MDC. Learn more at https://huntfish.mdc.mo.gov/hunting-trapping/trophies-certificates/certificates.